Passing the Nebraska written exam has never been easier. It's like having the answers before you take the test. You can schedule certain visits to the Nebraska Department of Motor Vehicles (DMV) ahead of time, meaning you won't have to spend all day at the DMV. Keep reading for more information about the types of DMV appointments you can make, how to make them, and what you'll need to bring when visiting your local DMV office. 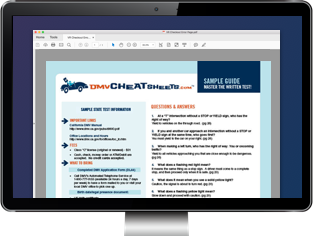 Keep in mind that you might be able to completely avoid a trip to the DMV by utilizing the online vehicle and driver services offered by the state. Motorcycle operator skills test (MOST). Motorcycle in traffic (MIT) exam. Commercial driver's license (CDL) road skills test. If you run into issues while scheduling your motorcycle exam(s), call the Lincoln office at (402) 471-3861 for assistance. A participating Department of Motor Vehicles CDL testing office. An approved third-party CDL tester. Finally, if you can't make an appointment for a particular DMV service, you can still save time by using the Nebraska DMV's Online Lobby Management System. This system allows you to wait in line at the DMV virtually, so in the mean time, you can go about your day until being notified you're nearing the front of the line. Motorcycle road exams (MOST and MIT).